Apple picking is a fun, easy and (most importantly) cheap activity for the whole family. Fall is the best time to spend the afternoon finding the perfect apples for that delicious apple pie – yum! Be sure to enjoy some fresh apple cider too! It’s great to be outdoors, but sometimes staying in on a cool fall day while enjoying some home cooked treats is a day well spent! These are classic fall activities that are not only fun, but fairly inexpensive. 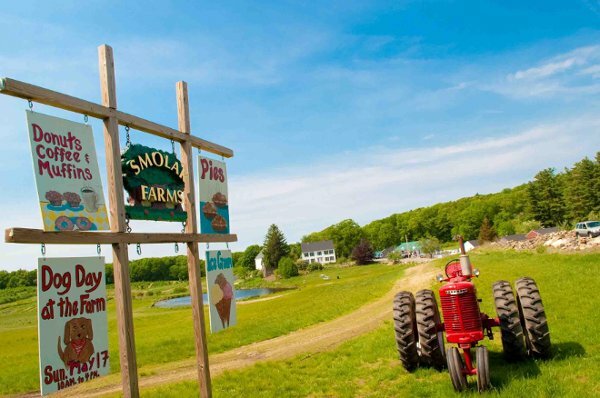 Head on over to Smolak Farms in North Andover to see if you have what it takes to get through their corn maze or even take a relaxing hay ride through the scenic farm. Heading to your local park is a great way to enjoy the beautiful fall foliage without spending a dime! Bring a picnic lunch and make a day of enjoying the fresh scent of nature before the winter comes. Looking to get some exercise too? Bring along your bikes to truly get a sense of all this season has to offer. As you enjoy these budget-friendly fall activities, put the money you’re saving into a high yield deposit account, such as a Money Market Account or Certificate of Deposit (CD) . At Pentucket Bank we offer a full range of deposit products and online services to help you stay on track with your financial goals. We’re a local, community bank with branches in Haverhill, MA, North Andover, MA, Salem, NH and Hampstead, NH. Send us an email or call us today at (978) 372-7731.